Sound Waves spin water to peel, drive nutrients deep, and carry micro-amp current to heal cells on all levels. Amazing results! 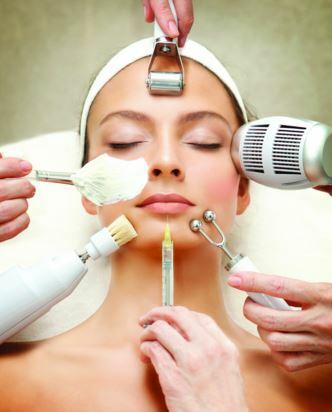 UltraSound Peel, Micro-Current Infusion to drive In nutrients that repair damaged tissue. Photo therapy to restore the skins natural energy balance for healing. This state-of-the-art technology safely & effectively pin-points and fades or removes unsightly melanin or spider veins. Exfoliates, hydrates, plumps lines, and stimulates collagen. 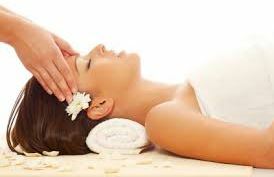 8 treatments in 1: Ultrasound peel and infusion, Diamond Dermabrasion, Micro-Current Stimulation, Cold Laser, Warm & Cold Therapy, UltraSound Eye Therapy. Computerized micro-currents restore skins surface, muscle tone, circulation, & metabolic function. Creates a long lasting healthier, younger and more refreshed appearance. Dramatically boosts collagen density and plumps lines. Corrects most pigment, acne, & aging issues. For oily, acneic, large, or impacted pores. Draws toxins, purify's, & cleanses pores. For dull, impacted, and acne prone skin. For tired, sluggish, sun damaged skin. For dark, deep, and resistant spots. For all skin types. Creates fresh, glowing skin. Peel Series: Buy 5 and receive 1 free.